Fashion. Some people don’t care about it while some people are so passionate about it. Whichever you are, humans need clothes and most of the times, we prefer buying our clothes where it’s cheap and sufficient. However, cheap/mass fashion are mostly irresponsible in terms of sustainability. The factory workers are overworked and underpaid, the factories pollute air and water and they don’t care about it, and they use cheap, artificial substances which may irritate the skin. In short, they’re unethical. So here’s a list of 10 ethical brands which make you look, good and feel good. The apparel and accessories of this brand is first of all, affordable. Additionally, they’re on-trend and their products are artisan-made, meaning that the workers made them by hand. This brand focuses more on the social impact to communities where their artisans live and work. For example, Krochet Kids Intl. empowers artisans in Uganda and Peru through fair wages, education, and mentoring programs. Each month, the brand will extensively monitor, evaluate, and measure a series of empowerment indicators to ensure that every person working for them gets positive impact. Ethical fashion industry is now emerging. You can buy vegan sneakers and ethical tops and bottoms, but not the little pieces. Based on the awareness that a there are a few to no ethical underwear, socks, and undershirts, the Danish brand had the idea to make the sustainable version. Organic Basics’ sustainable collection ranges from fashion basics for male and female in clean black and white color pallets. What’s unique about this label is that you can choose a subscription packages with the option to get fresh delivery, ethical undies to fit your schedule. 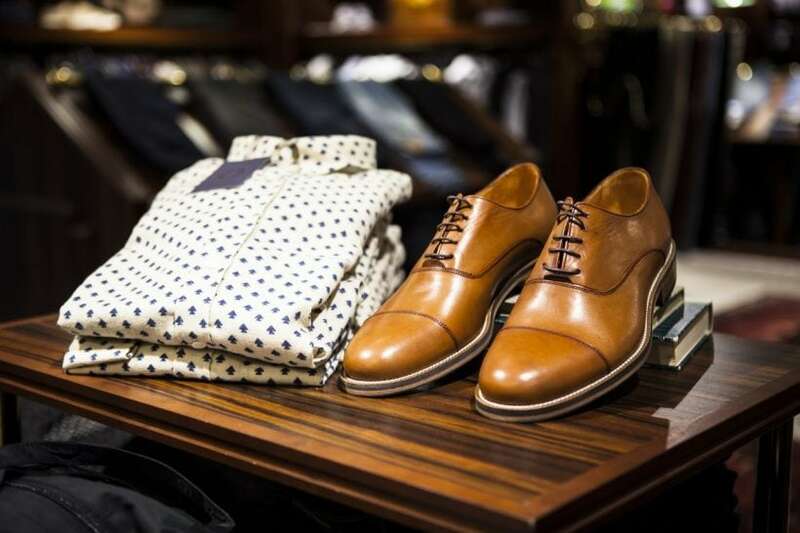 Some women simply prefer men-style clothing, and sometimes they think, “I wish I didn’t have to go to men’s section. I wish they made it for me.” From this need, Tradlands creates high-quality basic clothes which are inspired by classic menswear. Their clothing emphasis on fit, details, and quality. They have a very thorough standards to ensure that each shirt has utmost quality and ethical. The brand tries to use 98% of their materials and recycles as much as possible to keep their waste to a minimum. If you care about materials, don’t worry. They’re natural and sustainable. Other than that, the brand use accredited organic cotton in some collections. They also encourage shoppers to get their clothes repaired or recycle them when they’re worn out. Finisterre’s fashion style is relaxed and cool. Their collaboration with Royal National Lifeboat Institution create weatherproof jackets, merino kits, and other layerable thick clothings. The most noticeable feature of Nudie Jeans would be their wave patterns on the back pocket of their jeans. However, the Scandinavian brand have aligned themselves with ethical clothing.their jeans are made with 100% organic cotton and they only use 91% less water than traditional methods. Moreover, they recycle and resell second-hand garments, pay their workers in a living wage, and perform unannounced checks on their factories and suppliers to ensure that everybody is keeping their standards rigorous. For transparency, they also publish the reports online so everyone can see them. Dai is a new British brand that makes versatile, luxe workwear which is perfect for smart style fashion. It’s even smarter because the line is sustainable at its core. Their fabrics are made from an Italian mill which is recognized for minimizing environmental impact. Here’s the real deal; Dai recently got a seal of approval from the Positive Luxury, making the brand a trust mark with a proven commitment to sustainability. Additionally, the brand encourages its customers to do a greener dry-cleaning methods. They also partner with women’s organizations and donate their profits to improve lives. What’s not to love about Dai? Apolis means global citizen, a name that reflects the brand’s philosophy. Just like Krochet Kids, this brand also focuses on social impacts. The owner, brothers Raan and Shea Parton, got the idea from their personal struggle and survival stories while travelling abroad. The brand aims to bridge commerce and economic development. Their men’s apparel, swimwear, footwear, and accessories are made by artisan. They promote socially-motivated lifestyle and communities empowerment worldwide. Sounds familiar? Patagonia is one of the world’s most famous and respected outdoor brands. However, the brand wasn’t always this way. They openly admit that they haven’t got everything right in the past, but they’re working hard to make it up. Now, they always make sure that their products are safely and ethically produced. They also revise their entire supply chain to reduce environmental impact. They also discourage customers from buying new or more products. They offer to restore/repair old products with their Worn Wear program. Everyday outfit: An oversized munin sweater with a crisp white shirt underneath. Their fabrics are soft and eco-friendly without any polyester or toxins. They minimize their carbon footprint by selling their products online (no physical storefront) with recyclable shipping materials. Also, they frequently donate to help American Forest reach its goal of planting 2.7 million trees in order to restore and protect critical wildlife habitat. Veja becomes famous not only because of its clever branding, but also their commitment labels in sustainable fashion. The French brand uses only organic cotton as well as natural and sustainable Amazonian rubber to make their shoes. They refuse to work with leather manufacturers from Amazon, because cattle farming contributes to deforestation. But don’t think that their vegan, leather-free vegan shoes are not so good and looks cheap. Their models are the bomb. Moreover , they also use airtight stock management procedures so there won’t be any overproduction and waste. So if you’re vegan or just trying to spare animals, this brand is perfect. Which brand that you think suit you best? Do you know any local brand which are also ethical? Tell us in the comments below and don’t forget to give this article a like if you enjoyed reading it!